The Porcuparcel Style Box - October - Purchase NOW!! WE have a few left over!!! Get them before they are gone! Our October Box is everything you need for fall. Available in small thru large. 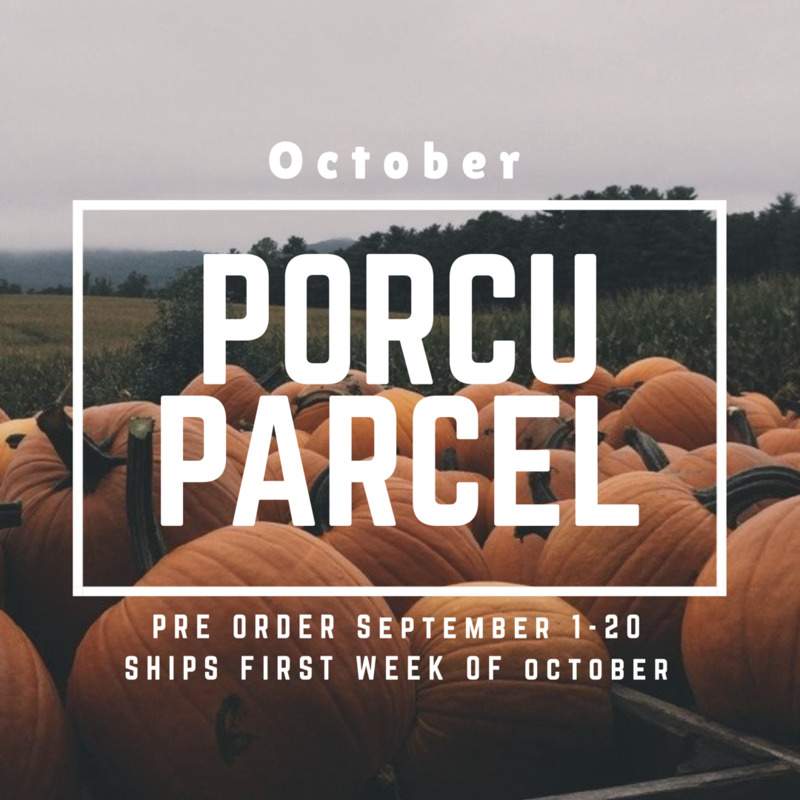 Our October Porcuparcel Style Box is a must have and will ship out approximately October 1st. Ordering for these closes on the 20th of August or when we sell out so don't wait! It will consist of at 3 items, and have a value of approximately $250!